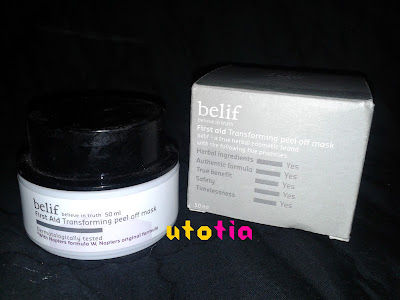 Hello, I am back with another review, which now is from Belif. Yep, another Korean beauty brand. But unlike any typical Korean beauty beauty brands, Belif has a little bit different concept. I think its concept is similar to Kiehl's judging from the philosophy, concept, and packaging. 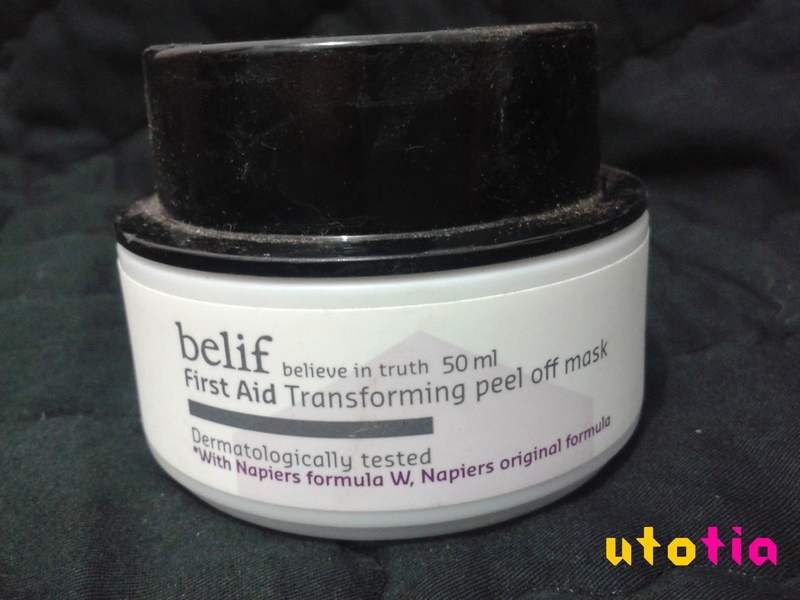 I have been using this mask from Belif called Belif First Aid Transforming peel off mask for about 5 weeks and am ready to tell you about it! The packaging is very simple with white compartment and black cap. It comes with 50ml size packaging. 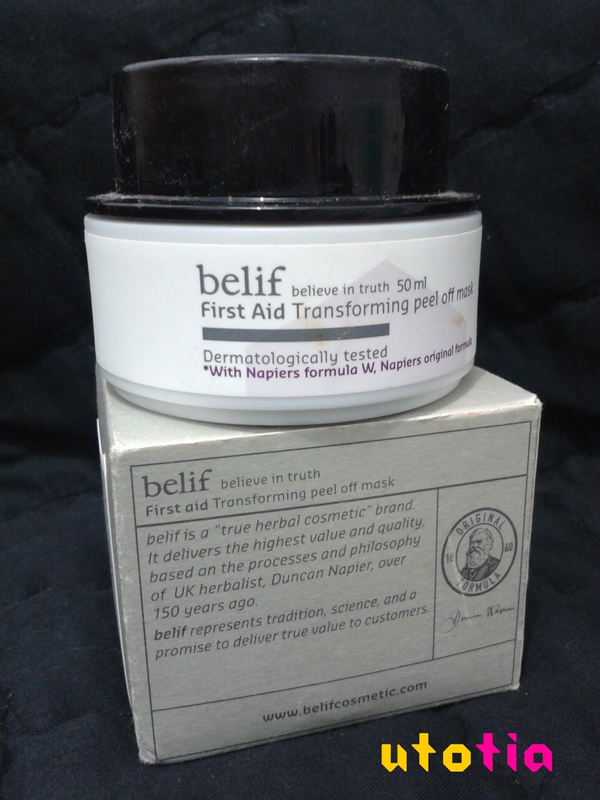 So as stated on the packaging, this unique peel-off mask is formulated with Lemon balm and White willow bark to remove skin debris. Upon contact with water, this creamy mask transforms itself into a thin layer of gel, making easier to take it off without skin irritation. So, this is how the mask looks like inside. 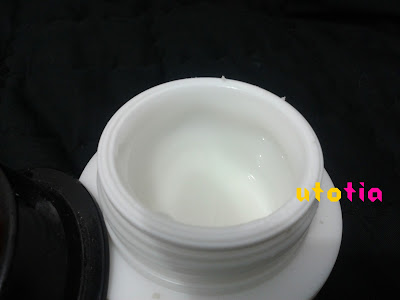 It's pure white with very nice smell, a mixture of subtle lemon aroma, which I do love. The texture is creamy but a bit runny, and so soft. 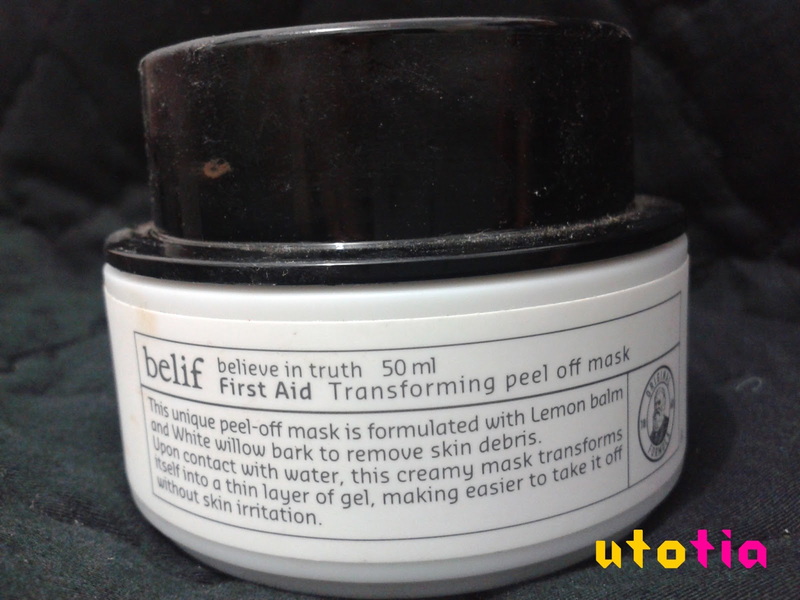 I don't keep this mask in refrigerator, but yes it has a soft, cooling effect that can sooth your skin. Feels so comfortable..
And you don't have to put so many in single use, you just apply a very thin layer, and it already works. After even out the product, you just have to wait around 15-20 minutes until it's done. 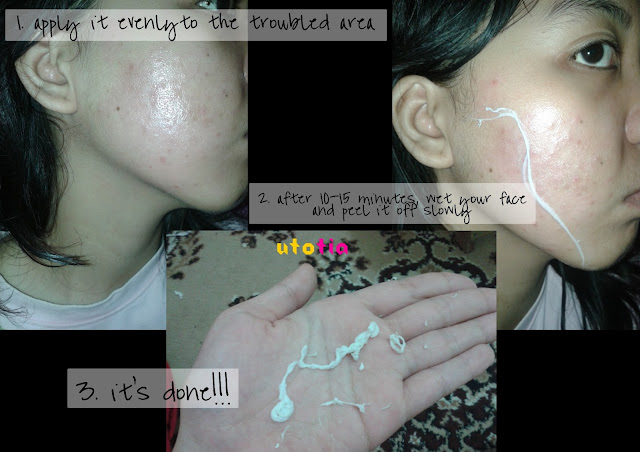 For your information, when I first started using this mask, I was still experiencing medium-level break out with so many small acnes on my U-Zone. So, how do this product works on my troubled skin? OK! Challenge accepted and I will use this mask to combat those evil acnes!!! What I love beside its soothing aroma and sensation, is how easy and to peel it off. NO PAIN. NO RUBBING THAT HARD JUST TO GET THE DEBRIS OFF YOUR FACE. 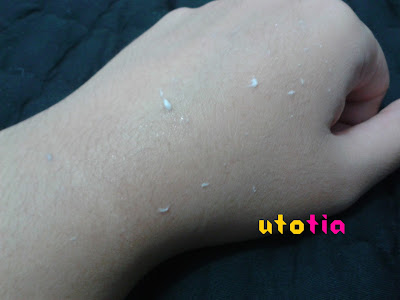 Usually, when I use any peeling product, I have to rub it off. Even there are some that doesn't irritate your skin, the rubbing process allows the minor exfoliation to your face, which I hate. 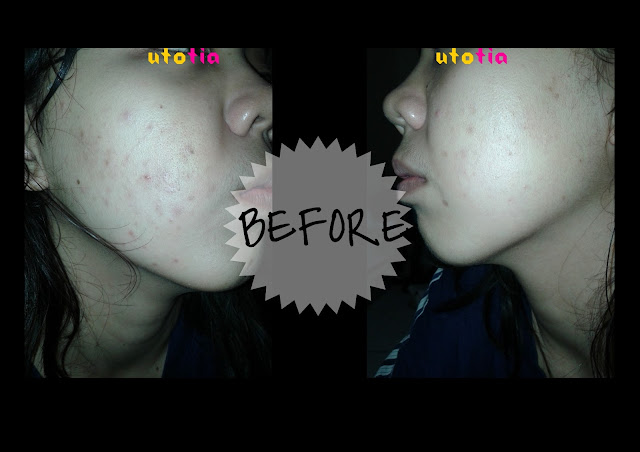 And this product cause no irritation by using our own hand. The only drawback from this process is another hassle to peel it off completely. Take your time to peel it off, and yes, you're done! So here are my few progress pictures to show you that I'm getting better with this mask. 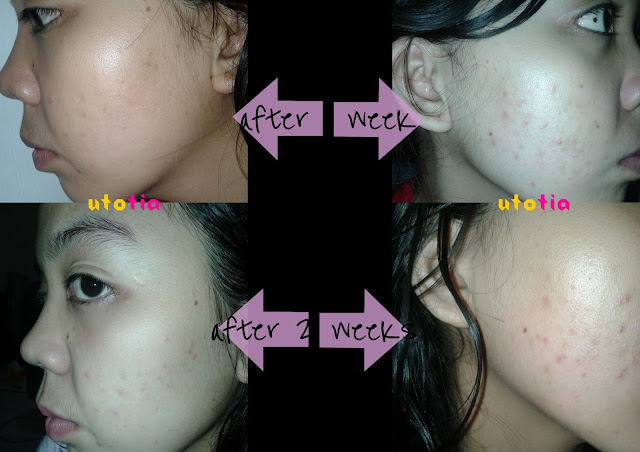 And how do I look after 5 weeks of usage? Just look at my pictures below, it was taken last week. To be honest, at first two weeks, this product will trigger your acnes to be boiled, resulting in more acnes and more redness. 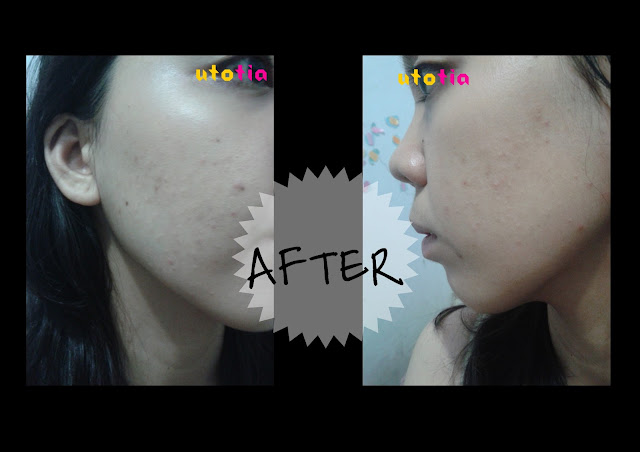 But, after two weeks of perseverance, I finally taste the sweetness of my own effort, my face is getting better and the acne is reducing up until 70%. And just to tell you, I only apply this mask to the troubled area. Because I don't think that we have to always put on mask on the whole face. Sometimes, you just need to put it on the desired area only (thanks to Ci Carnellin for letting me know). The other benefits? Of course you can reduce the usage thus making the product more long-lasting, LOL. 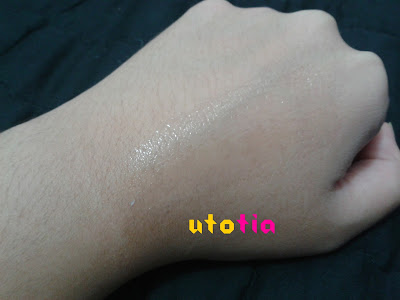 5 weeks and I wear it almost everyday on the first two weeks and then switch to once every two days, the product still haven't hit the bottom. I still have a half of it (25ml)! So, if you are looking for a product that can help you get rid of skin debris or dead skin cells while improving your skin, especially from the acne, you can definitely give this Belif First Aid Transforming peel off mask a try! You can get this at the nearest Belif counter in Jakarta! 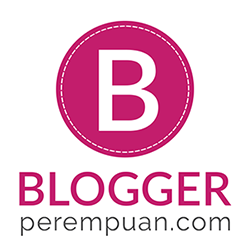 im following you on bloglovin and gfc. 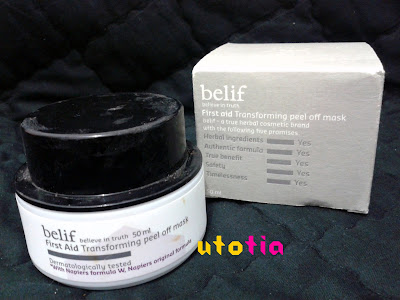 Hi dear, do you use anything else asides from this peeling off mask? Such as a trouble-control essence or anything?